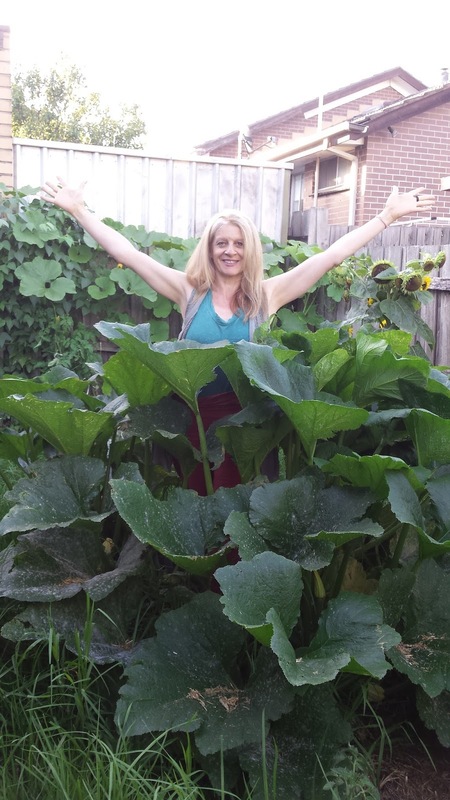 Inspired by Lakshmi, The Hindu Goddess who emerged from a lotus flower bringing material and spiritual wealth, fortune and abundance, I was inclined to step into the centre of my ginormous zucchini plant and emerge. Grown from a tiny seed smaller than my pinkie nail, it has grown strong arms, legs and big, wide open hands. With a giving heart at its centre, it has showered me and many others with both flowers and fruit. (Yes, zucchini is a fruit: a type of botanical berry, which is the swollen ovary of the zucchini flower). Lakshmi, who sits at our solar plexus at our very centre, is all about nourishment, abundance, taking in, giving and receiving with open arms. She is surrender. Sitting at our core, she is our essence, our truest self. She is represented, aptly, by the colour green. With my garden now looking like something from the Land of the Giants, she has clearly been to visit. I am blessed. Having arisen from a lotus flower, Lakshmi is also a creature of miracles and transformation. The lotus flower grows from mud and murky waters. The dark, earthy water actually nourishes it, makes it stronger, wiser. No matter how dark, how muddy, how murky our experiences have been, we can grab onto Lakshmi's skirt tails and also arise with a clean, clear, pure heart that's washed of the mud, the murk, the conditioning; a clean, clear, pure and fearless heart that's open to giving and receiving love and that's open to all of the material and spiritual abundance that a loving heart attracts. 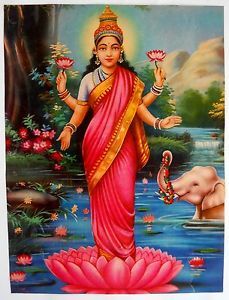 Let us leave the garden gate open for Lakshmi and her unlimited abundance and nourishment, as well as the active energy of her husband Lord Vishnu. Of course, all of their Divine friends and relatives are welcome to enter and join the garden party too.